Below are links to Clubs around the United Kingdom that are fellow members of the Yamada-ha Shito-ryu Shukokai Karate-do Union (UK). 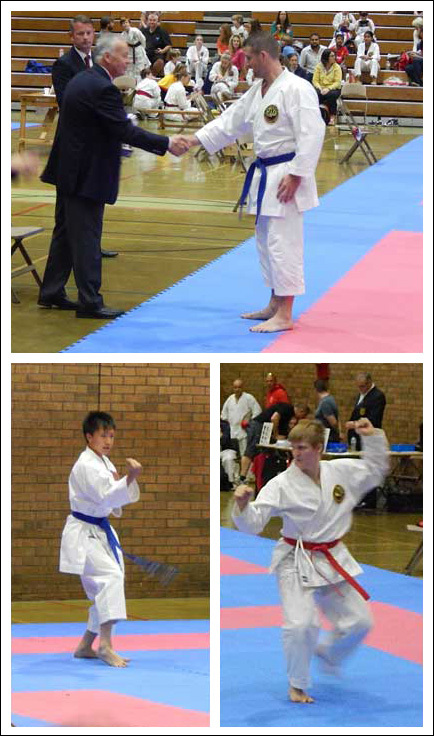 Below are links to Martial Arts equipment hire that we use for competitions. 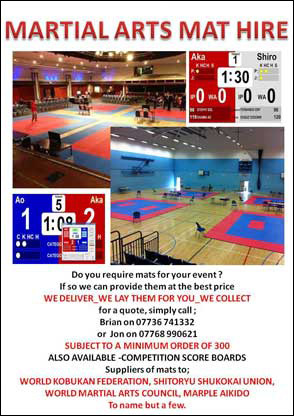 A full professional service, offering the hire of top quality martial arts mats, along with electronic scoring systems. Mat hire is subject to a minimum order quantity. We deliver, lay out, pull up and remove the mats for you, at a time to suit you. No job too early, too late, too far or too near. Suppliers of mats to many happy customers, including the World Kobukan Federation, Shito-ryu Shukokai Union, World Martial Arts Council, Marple Aikido etc etc.